VANCOUVER -- The Hells Angels have lost a bid to regain control of a clubhouse in Nanaimo, B.C., in advance of a civil trial scheduled for next year. The province seized the clubhouse in November 2007 under the Civil Forfeiture Act. Orders were granted against the property by B.C. Supreme Court judges at that time and again in March 2009, meaning the building and its contents could not be used, mortgaged or sold. 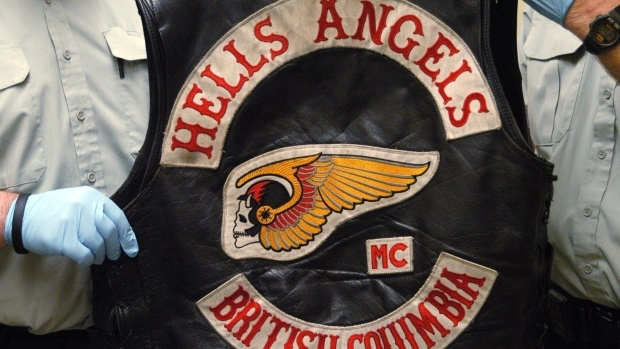 Lawyers for the Hells Angels Motorcycle Corp., Angel Acres Recreation and Festival Property Ltd. and several individuals applied to set aside the orders in B.C. Supreme Court. They have asked Justice Barry Davies to allow Angel Acres Recreation and Festival Property Ltd. to regain possession of the Nanaimo clubhouse pending a civil trial set for May 2017. Davies has dismissed the application, ruling there's enough physical and expert evidence to support allegations that the clubhouse could be used in the future for unlawful activity by the Hells Angels. His ruling notes the director of civil forfeiture is trying to seize clubhouse and its contents, including clothing, bar equipment and alcohol, as well as more than $10,600 in Canadian currency and US$278. The ruling says the director of civil forfeiture will also seek the seizure of clubhouses in Vancouver's east end and Kelowna in May 2017.